Seeing the first of my cherry tomatoes pop up! 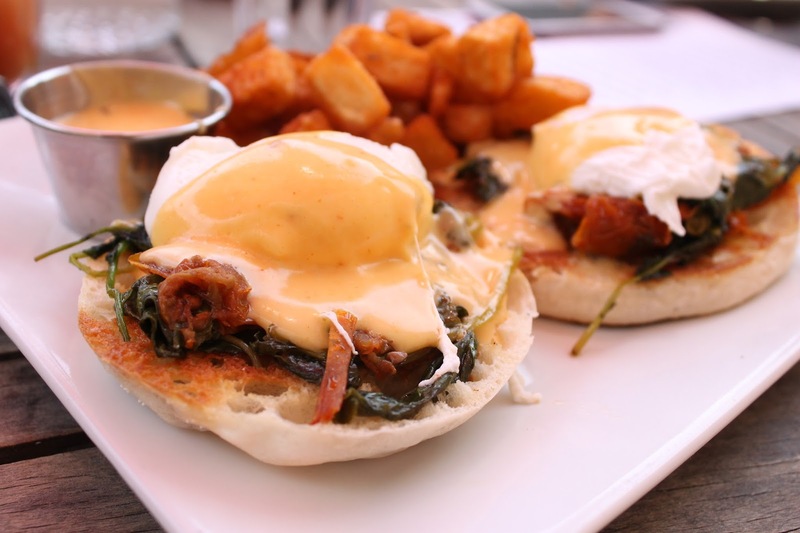 The City Beer Hall's new kale & roasted tomato eggs benny with basil hollandaise is to die for! 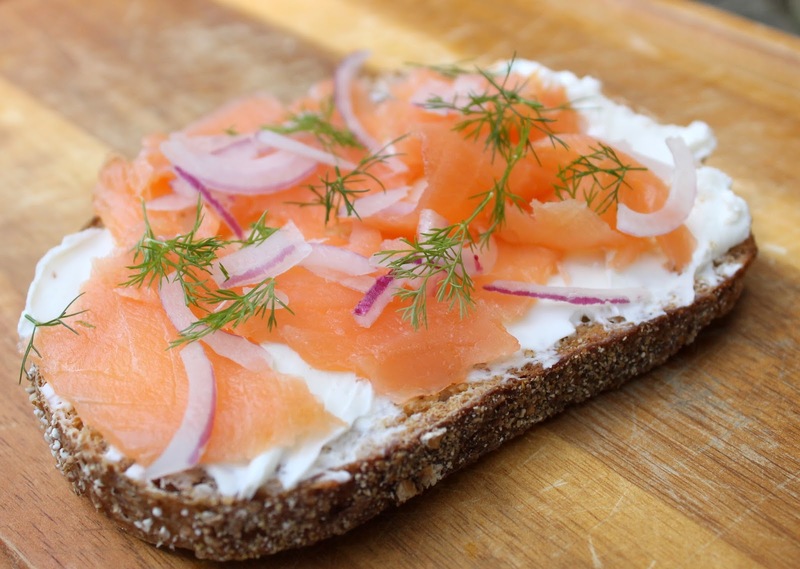 Nibbling one of my favorite snacks -cream cheese and lox - for a mid-day snack. Enjoying a relaxing lunch and taking in this gorgeous view with my sister.